‘Tis the season for “Best of 2014” lists! From The Washington Post to Publishers Weekly, it’s easy to find groupings of the year’s best works scattered all across the Internet. Far be it from me not to join in the fun. So, in random order, here are my 10 favorite books I read this year. Station Eleven by Emily St. John Mandel: Nominated for the National Book Award in fiction and a fixture on several Best Of lists this year, this spellbinding novel follows a traveling theater troupe as it roams across a post-apocalyptic landscape. Weaving the stories of several characters together, seamlessly shifting the narrative from before and after a flu virus wipes out 99 percent of the human race, this book was easily my favorite of the year. 10% Happier by Dan Harris: ABC News anchor Harris had a panic attack during a live broadcast of Good Morning America back in 2004. It led him on a journey from nonspiritual skeptic to, well, a nonspiritual skeptic devoted to the practice of meditation. Part memoir, part intro/guide, this book presents meditation and its spiritual and religious ties strictly from the point of view of a nonbeliever who questions the validity of everything and comes to his own resolution. I’ve long been a fan of Harris as a journalist, and now I’m a fan of him as a person. 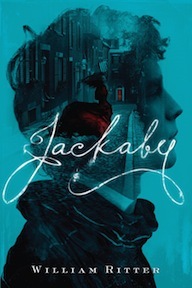 Jackaby by William Ritter: Ritter's debut mystery novel introduces us to an intriguiing new sleuth in Mr. R. F. Jackaby. Set in 1890s New England, it has a classic mystery feel with a supernatural twist. Billed as Sherlock Holmes meets Doctor Who, it's no surprise I was drawn to this delightful book. Of course, such lofty comparisons tend to raise expectations, and I'm happy to report mine were met. Oh, and the cover is gorgeous, too. The Silkworm by Robert Galbraith: With the mystery of Galbraith’s true identity solved following publication of “his” first book (it’s actually Harry Potter scribe J.K. Rowling writing these), this book was an instant hit – and an instant purchase for me when it came out. I enjoy a good mystery novel, and Rowling has created a lovably gruff detective in protagonist Cormoran Strike. Amazon called it “compulsively readable,” and I’d have to agree. Nothing earth-shattering with this one, just a fun who-done-it? Grasshopper Jungle by Andrew Smith: A plague of six-foot-tall praying mantises overtakes the human race. Sounds like a straight-up science fiction gore fest, huh? Not in this hilarious, emotional and bizarre tale that truly defies categorization. Teenage protagonist Austin battles his own raging hormones and sexual confusion/frustration while trying to save the world. An excellent read. 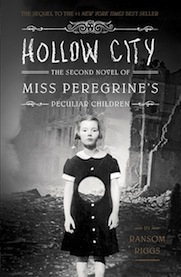 Hollow City by Ransom Riggs: The second in a trilogy, this sequel to Miss Peregrine’s Home for Peculiar Children continues the story of Jacob and friends as they make their way toward London, picking up right where the best-selling first book ended. I was a latecomer to the Miss Peregrine series but flew through both the original and this follow-up with page-turning zeal. 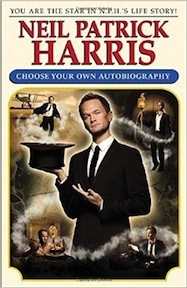 Choose Your Own Autobiography by Neil Patrick Harris: NPH does nothing in the traditional sense, and penning his memoir is no different. Inspired by the Choose Your Own Adventure books, Harris weaves a hilarious, insightful, and fun journey in which you, the reader, are in control of his destiny. There’s intrigue, danger, magic, a hefty dose of humor, and even some fancy recipes. Admittedly, the gimmick did wear on me a bit as I progressed (you’ll have to do plenty of backtracking if you want to read every page), but it was still a fun, original twist on the celebrity bio. I Said Yes to Everything by Lee Grant: I’ve always been a fan of actress Dinah Manoff, who you may remember from movies like Grease and TV shows like Empty Nest, so that’s what drew me to the memoir of Oscar-winning actress/director Lee Grant – Dinah’s mother. A candid tale, Grant bares all her insecurities here, especially those resulting from being blacklisted (her first husband was a Communist). Her reemergence as a bankable star and, then, documentary filmmaker is fascinating. In addition to Grant’s juicy personal life, this is also an insider’s account of an interesting era in Hollywood. So this is an abbreviated list of favorites! (I read plenty of other books this year that were fantastic but 10 makes for a nice, even-numbered list.) Feel free to share your favorites in the comment section. I’ve got a little over a week left in 2014 to discover new books and bump something from this list!